Mozart’s sophisticated opera about two men seeing just how faithful their fiancées are has seldom been so marvelously done. 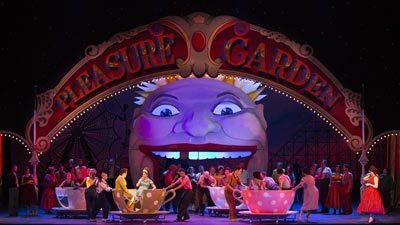 Leslie Koenig’s production, designed by Michael Yeargan, is as witty and charming as the music, conducted by James Levine. Carol Vaness and Susanne Mentzer are the two sisters being tested by their fiancées, Jerry Hadley and Dwayne Croft, who supposedly have gone off to war. 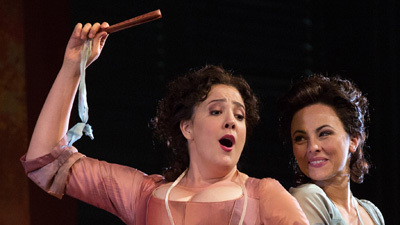 The cheeky maid Despina is sung by Cecilia Bartoli (who made her Met debut in the role barely two weeks before), who falls right in with the scheming men, led by Thomas Allen.